More Than Meets the Eye Part Three concludes the introduction to the epic war between the Transformers. When we left our heroes in part two, Prime was left tumbling down the mountainside by an explosion after he had sent his counterpart Roller into the mine to see what had happened to Sparkplug and Bumblebee, who had planted the bomb to stop the Decepticons. The Autobots tend to Prime, and as it turns out he’s ok, apart from some difficulty transforming. Roller also appears unscathed and the Autobots dig through the mine rubble to find their friends. The Autobots plan to resume their search for the resources they need to return home, but are startled to see the Decepticons blast their way out of the mine. Frustrated by this, Ironhide sets of in pursuit, supported by Bluestreak. 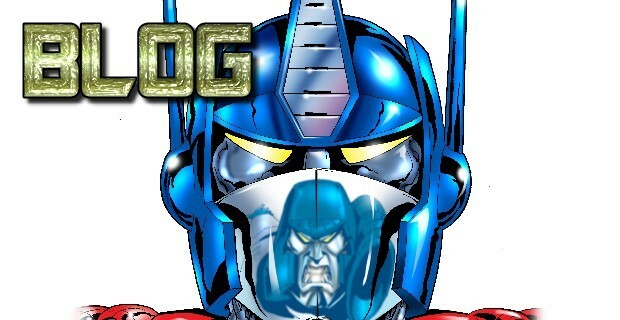 A battle ensues and Ironhide is injured, which leads Prime to give him some words of wisdom before they return to base. Hound has an idea that he pitches to Prime about using a hologram to trick the Decpticons. The Autobots feed some false information to Ravage about a rocket fuel supply and arrange for him to “escape”. Naturally Ravage passes this information on to Megatron, who gets into another argument with Starscream-who attempts to assassinate him. Megatron asserts his dominance and plans to attack the rocket base. As the Decepticons attack Hound’s hologram of the Rocket base, it becomes clear that the Autobots are fighting a bunch of facsimiles. Meanwhile the real Decepticons are attacking a real base, and get away with enough fuel to power their new space cruiser. The Autobots move to intercept the Decepticons, who are readying themselves to return to Cybertron and a battle gets underway. As it looks like Prime is getting the best of Megatron, Ravage intervenes, which allows the Decepticons just enough time to get aboard their space cruiser and blast off. Prime orders Sideswipe to give him his rocket pack and sets off in pursuit, but is blasted to the ground by the Decepticons. All seems lost until the Autobots realise they don’t know where Mirage is……. Aboard the Decepticon ship Starscream makes another attempt at assassinating Megatron, which gives Mirage enough time to reveal himself and sabotage the ship. Despite taking a blast to the chest, Mirage is able to escape as the space cruiser tumbles to a crash landing into the ocean. The governments of earth give the Autobots enough fuel to get home and restore Cybertron as a way of thanking them for stopping the Decepticons. As they are heading off on their trip back home, we see that the Decepticons are not finished as Megatron escapes from the crashed ship before the end credits roll. We see the strength of the two leaders in this episode as Prime survives a blast from a bomb and being shot out of the sky by the Decepticon Cruiser. Megatron meanwhile survives the mine-bomb, two assassination attempts and the space cruiser crash. There are lots of transformation sequences in this episode which are all very well animated and it’s good to see the characters using some of their other abilities. In particular, we are introduced to Skywarp’s ability to teleport and Mirage’s ability to make himself invisible would be a key factor in the final outcome. The Verdict: This is a fairly fast paced episode which is fun to watch. We see further character development and there is enough action to keep it exciting. The only negative about this episode is the amusing scene at Hound’s hologram of the rocket base, as the Autobots are wandering around in lab coats, clearly not looking like human rocket base workers at all, and the Decepticon facsimiles look as strong as the real thing one minute and are falling apart the next minute. We get the idea that the story is trying to convey but I do feel this scene could have been done a bit better. This episode is still a great watch though and I give it 9 energon cubes out of 10. Afterthoughts: One of the great things about re-watching Transformers, is that it never feels like a show that is solely aimed at children. I don’t know if this was the intention or not, but it speaks volumes about the quality of writing, strength of characters and its uniqueness. All of the small, but important touches such as the transforming sound, special abilities and personality conflicts make this show even more intriguing and watchable.